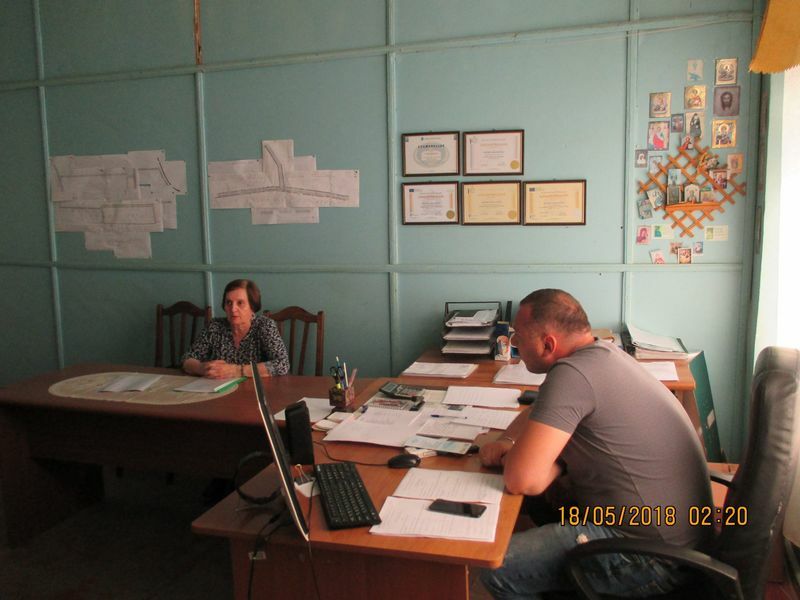 On November 7, 2018, a meeting was held between south Caucasus regional manager Petra Steinkogler, (within the project 675) and the Imereti Regional Employee. 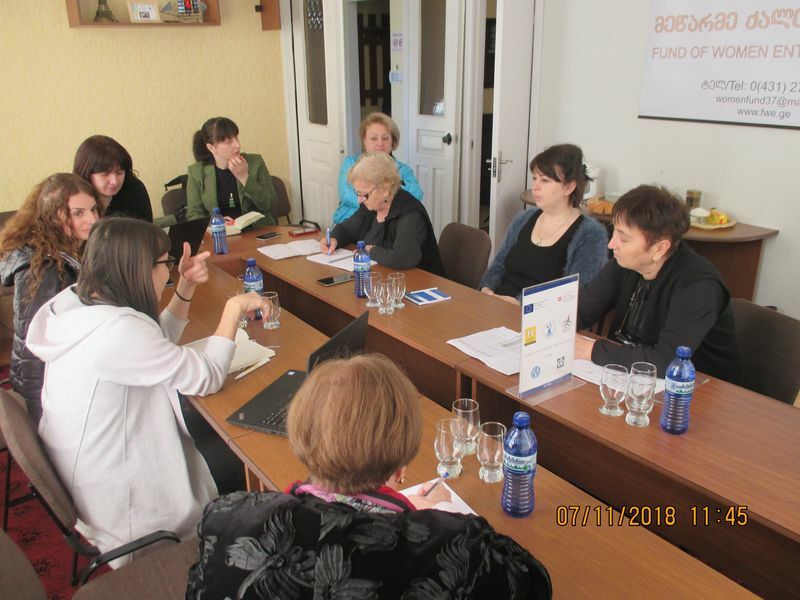 The meeting was attended by the local manager of the project Nana Gogokhia, the Chairman of the Fund of Women Entrepreneurs, Project Coordinator in Imereti Region – Meri Gelashvili, Project Employees in Imereti region, total 11 people. The mission of the meeting was to discuss issues of Fund of Women Entrepreneurs and college “Iberia” regarding the 4th cycle of learning. Since the fourth cycle is financed by the project, the changes in the budget are discussed, which ensures the implementation of this stage of the project. 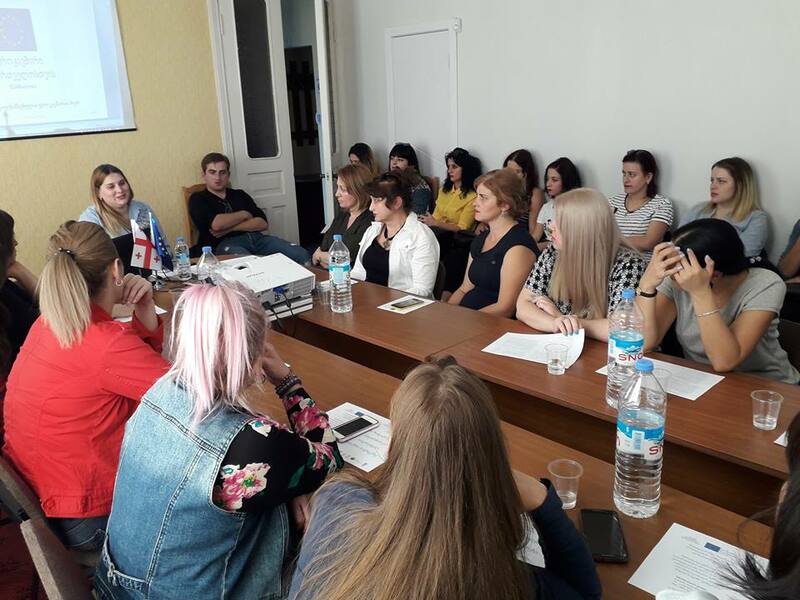 On October 31, 2018, an open door day was held at public college “Iberia”, within the project “Step by Step towards a Better Future, financed by EU and the Austrian Development Agency. Ann introductory meeting was held with the 4th cycle probationers, former convicts, and their family members. 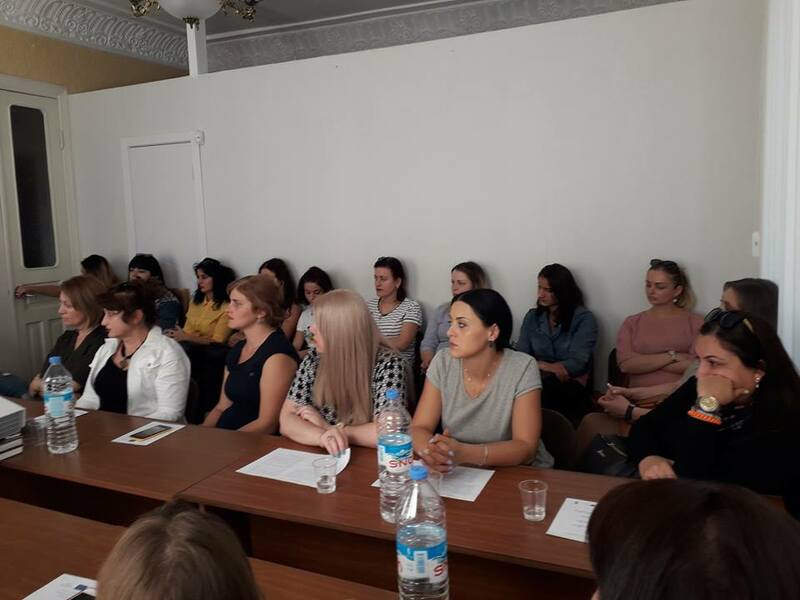 The meeting was attended employees of Fund of Women Entrepreneurs, head of collage “Iberia“, their teachers ,representatives of Probation Bureau of Imereti Region : psychologist- Avtandil Arbolishvili, social worker-Tinatin Chelishvili,14 probationer from Imereti,1 successful beneficiaries from 3th cycle and mentor of project Nana Idadze. 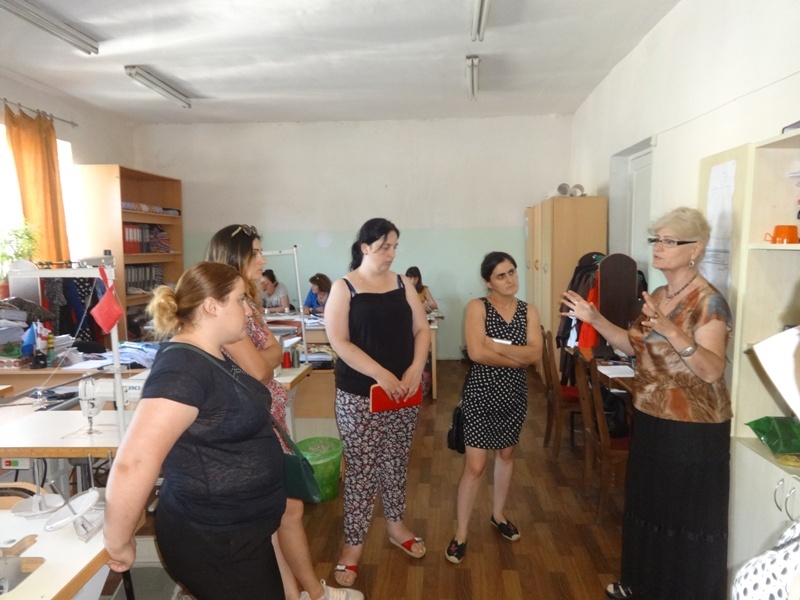 At the meeting beneficiaries received information about project from social worker Maia Qamushadze, implementation of the ongoing training in the Integration Center made by Fund of Women Entrepreneurs .Also the teachers of collage “Iberia” held presentation about selected professions.specialty training room views. 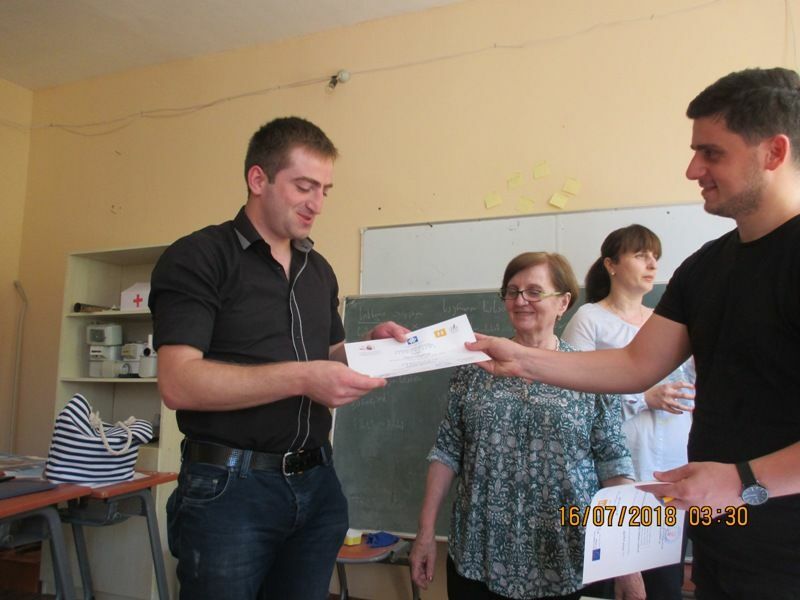 Beneficiaries once again learned about professional choice, resulting in the final staffing of the groups. The 4th cycle beneficiaries will start studying on October 5. 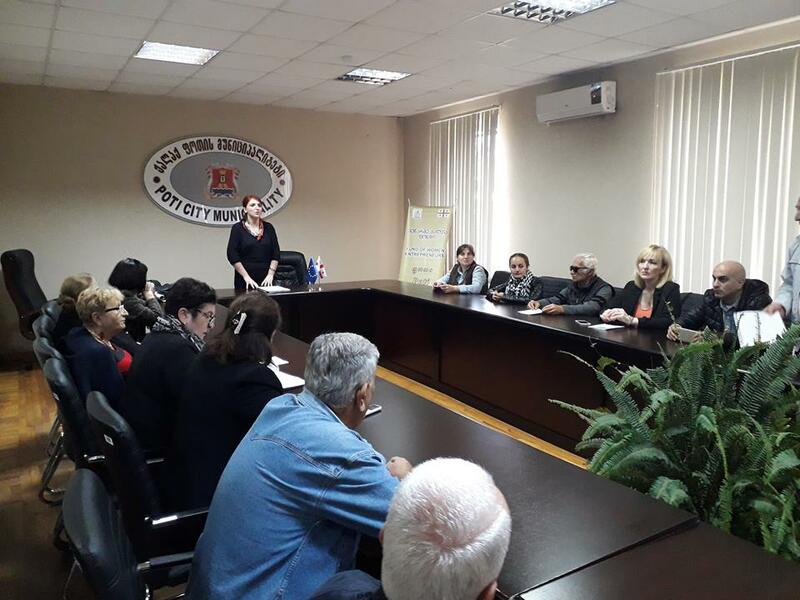 On October 25, 2018, FWE held a meeting in Poti assembly room. 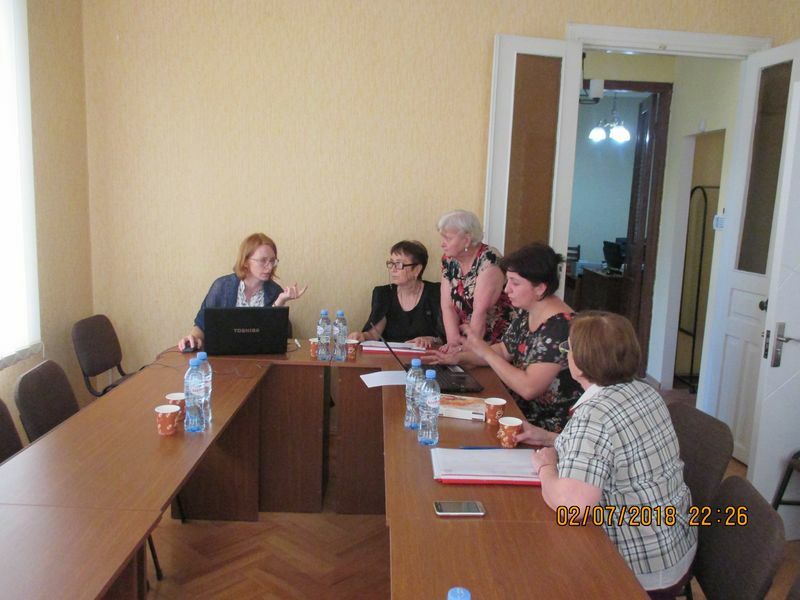 The meeting included information about the project, which was funded by EU. 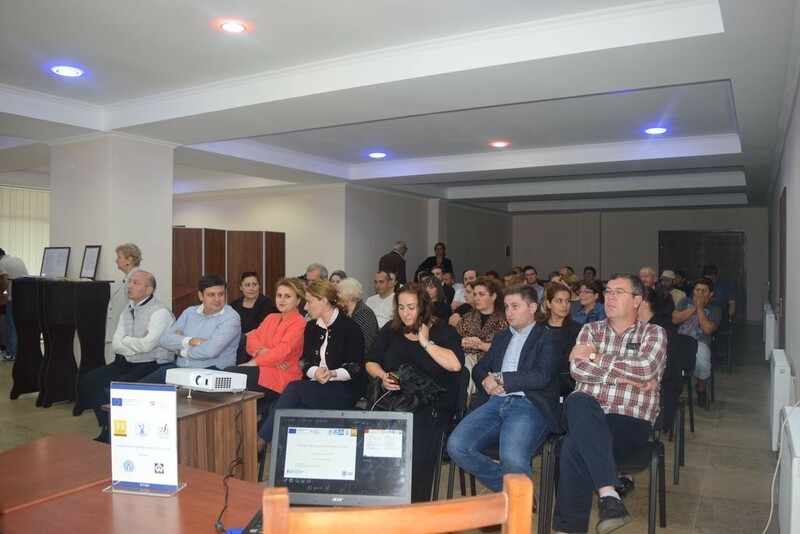 “Georgia to create an effective model for implementation of DCFTA and small and medium enterprises strategy on European road” – sub-grant: “Public Information in Free Trade Area” Which was attended by local beneficiaries, entrepreneurs, representatives of non-governmental and governmental, educational sphere. The meeting was discussed on the Deep and Comprehensive Free Trade Area Agreement. 20 people received the information on this topic. 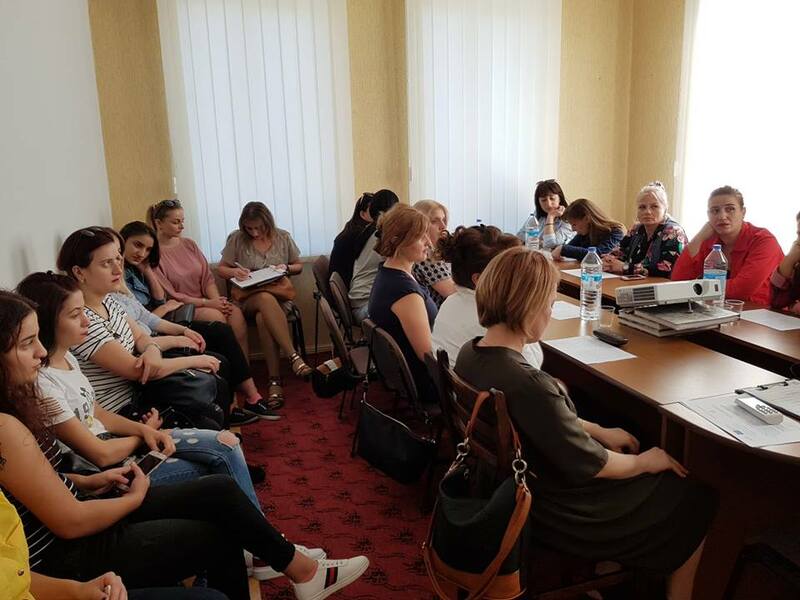 Re-granting of the project funded by EU within: “Georgia on the European way: Creating Effective Model for Implementation of DCFTA and Small and Medium Enterprises Strategy ” ,on October 18.2018 Fund of Women Entrepreneurs held meeting about the project “Informing the public about Free Trade Area”. 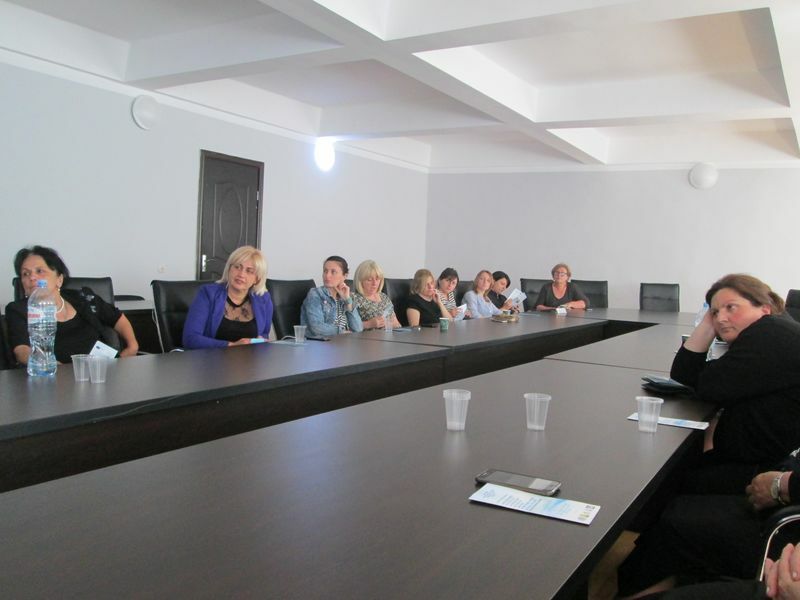 35 people attended the meeting: representatives of different layers of civil society and organization beneficiaries. Meetings will continue to increase public awareness of this issue. 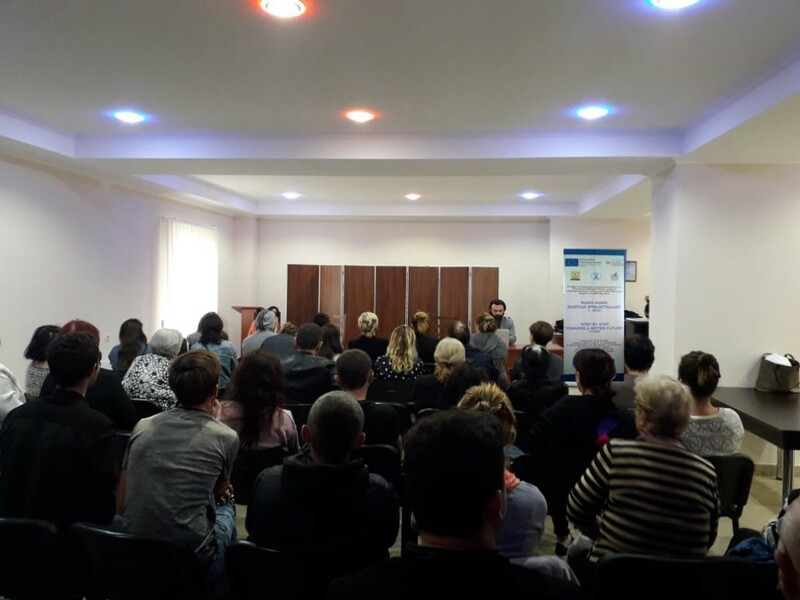 On october 05, 2018, FWE held a presentation performance by forum theatre where it was presented of the challenges to overcome those who are in conflict with the law in everyday life in integration centre. The goal of the event was to reduce the discriminatory attitudes towards the convicted individuals and to overcome the existing stigma. The event was distinguished with the high activity of the audience, due to the forum – theater concept. At the same time, noteworthy was the high qualification of volunteer actors. The event was attended by Representatives of different layers of civil society, project beneficiaries , a total of 62 people. 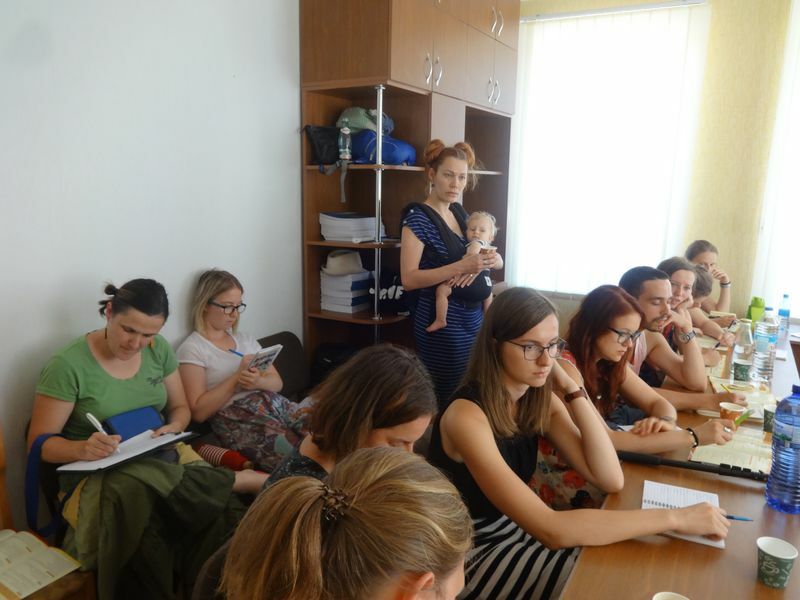 On September 26, 2018, FWE held a presentation-summarization of the first stage of the project – “Step-by-Step towards a Better Future” (EU and Austrian Development Agency) in integration center. 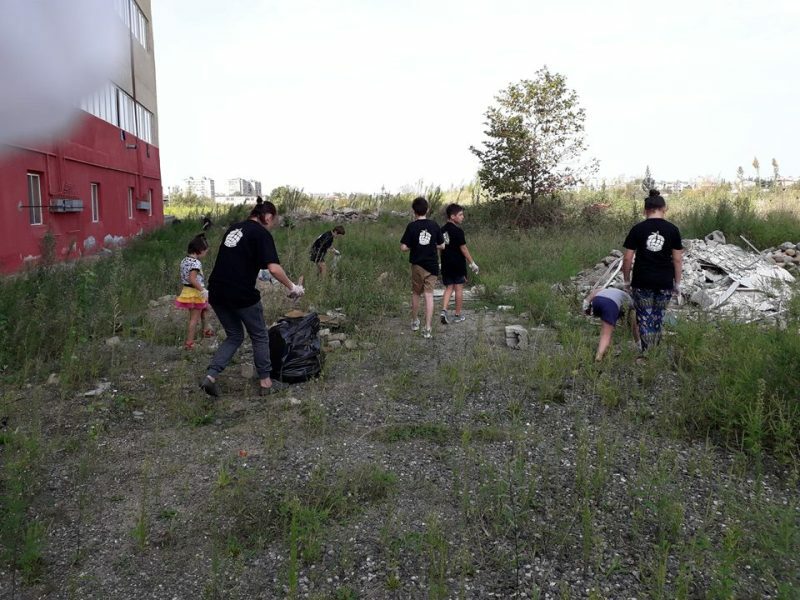 One of the directions of the project is “Material Support Program”. 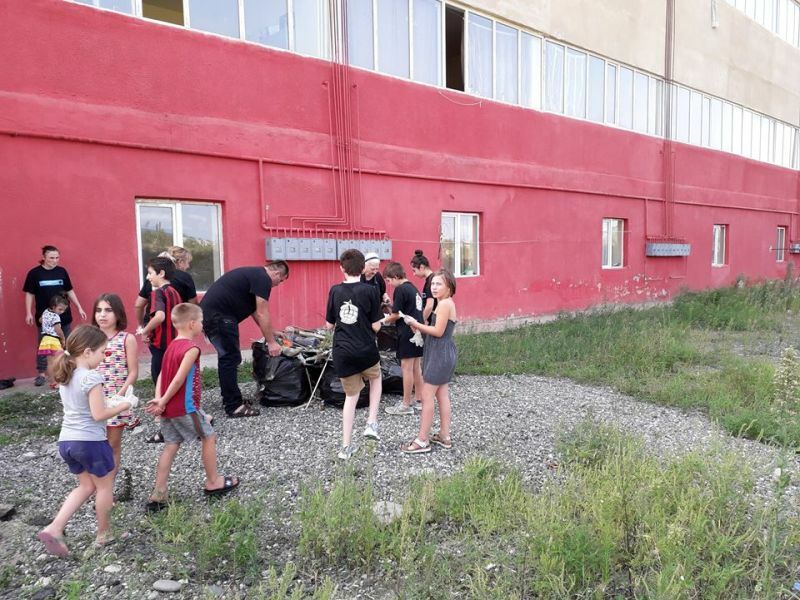 The winners of the MSP (8 projects) were awarded material resources in accordance with the submitted projects, which were exhibited in the yard of the Integration Center. 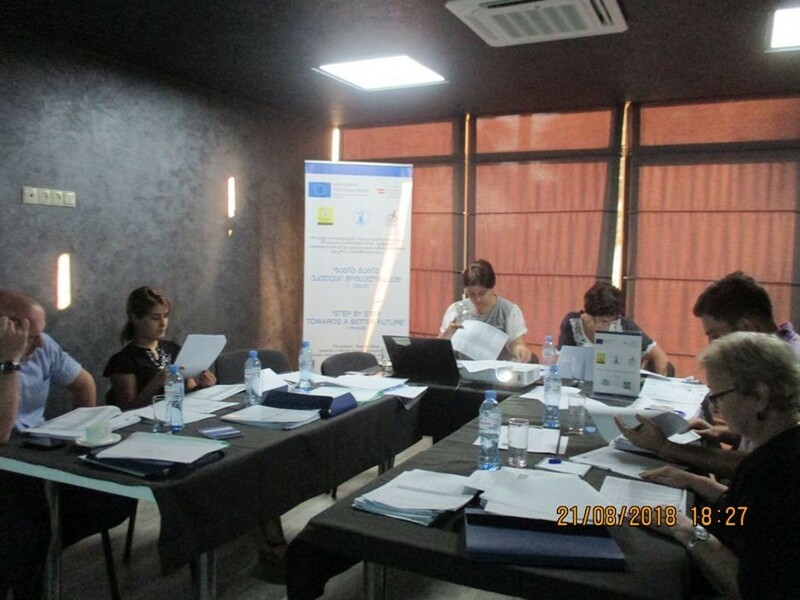 The project is partnership – implemented by Hilfswerk International, IDP Women’s Association “Consent” and FWE collaboration. 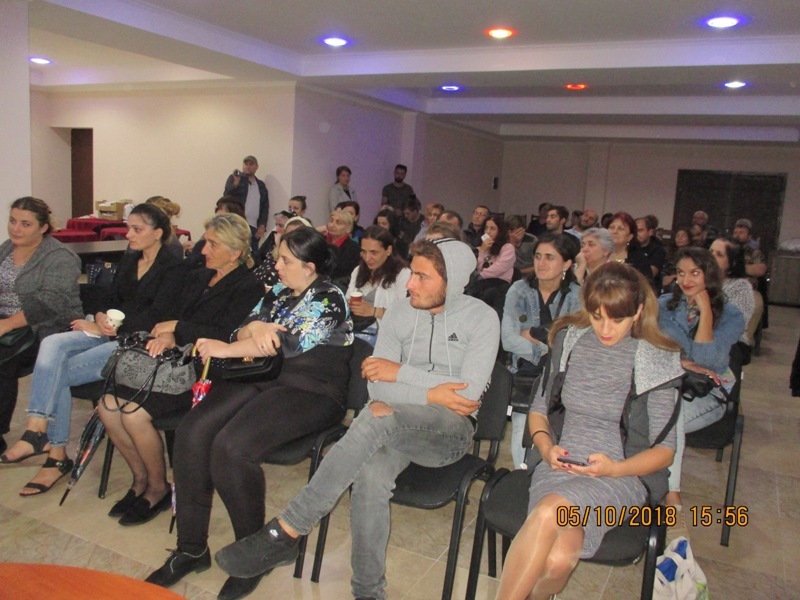 The event was attended by: National Probation Agency, Imereti National Probation Bureau, Crime Prevention Center, Governmental Organizations (Local and Abkhazian), representatives from business sector, NGOs (international and local), employment and internship organizations, “Public Defender’s Office” Services Agency, Vocational Education collage ” Iberia ” , civil society, the media, a total of 75 people. 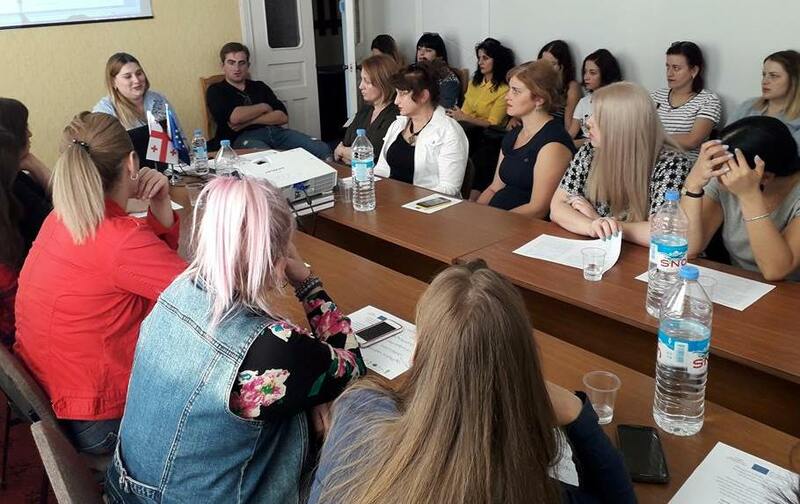 Winners of the Material Support Program, within the framework of the project “Step-by-Step towards a Better Future” (675), were announced in FWE office, on September 4, 2018. Total 8 projects have been selected (from 14), which have received the highest score and their authors will be awarded appropriate material support to implement the business plan. Project author and director is Hilfswerk Austria International. 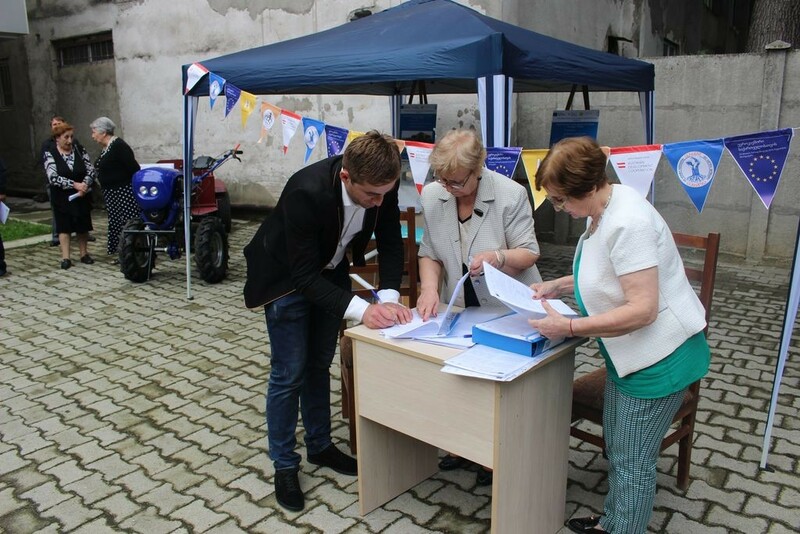 Project financially supported by the EU and the Austrian Development Agency. We congratulate the winners and wish them success. 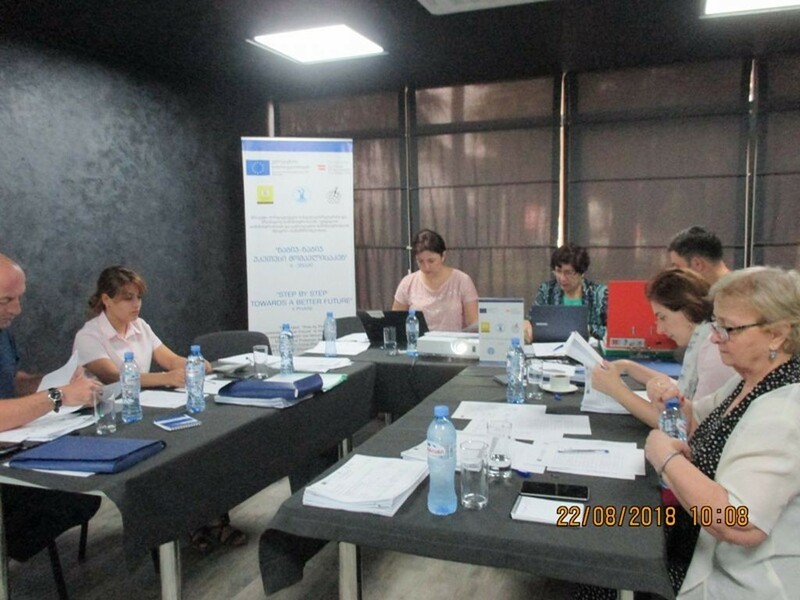 The applications were reviewed and assessed within the framework of the Material Support program of the Project 675 “Step-by-Step towards a Better Future” on 21-22 August, 2018 in Kutaisi. 14 applications were submitted by the beneficiaries who are in conflict with the law. 8 winners were revealed. The project is headed by Hilfswerk Austria International and is financially supported by the EU and the Austrian Development Agency. 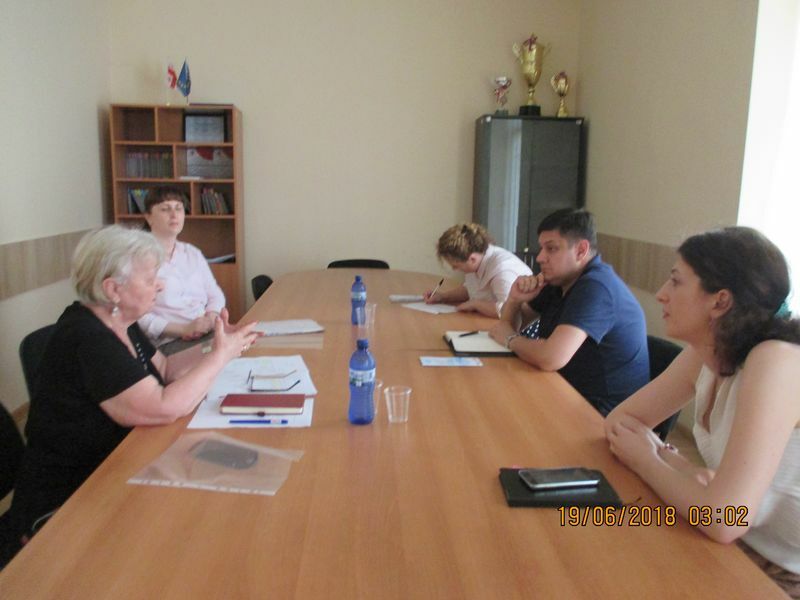 On July 3, 2018, the meeting was held among Nicol Bauer (HWI Project Manager in Caucasus Region), Meri Gelashvili (Chairperson of FWE – Project Coordinator in Imereti region), Nana Gogokhia (staff member of “consent” – project local manager) and the project`s implementers. Totally 8 persons. 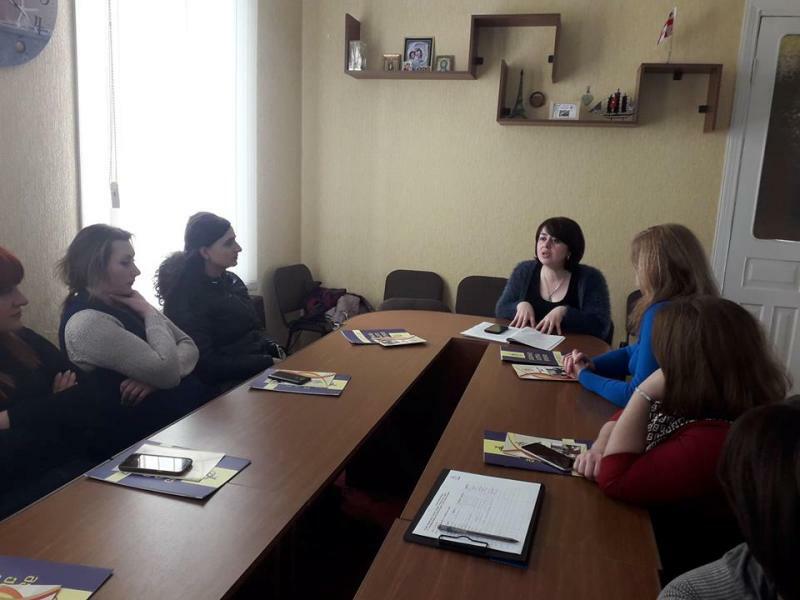 At the meeting was discussed the implementation of the project # 675, stages of material support program, results of beneficiaries` trainings, internships and mentorship issues and future plans. Nicol Bauer examined the public college “Iberia” training rooms where the beneficiaries were trained. 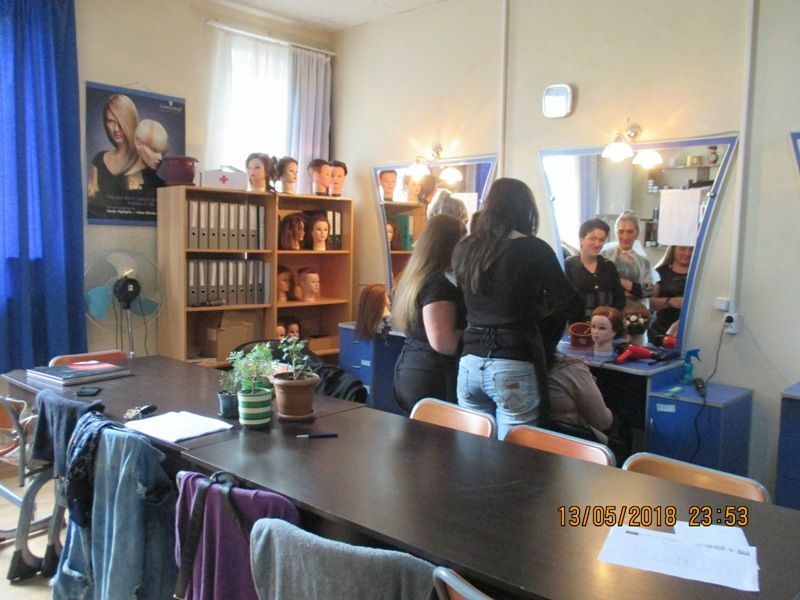 She attended training for the stylists group. 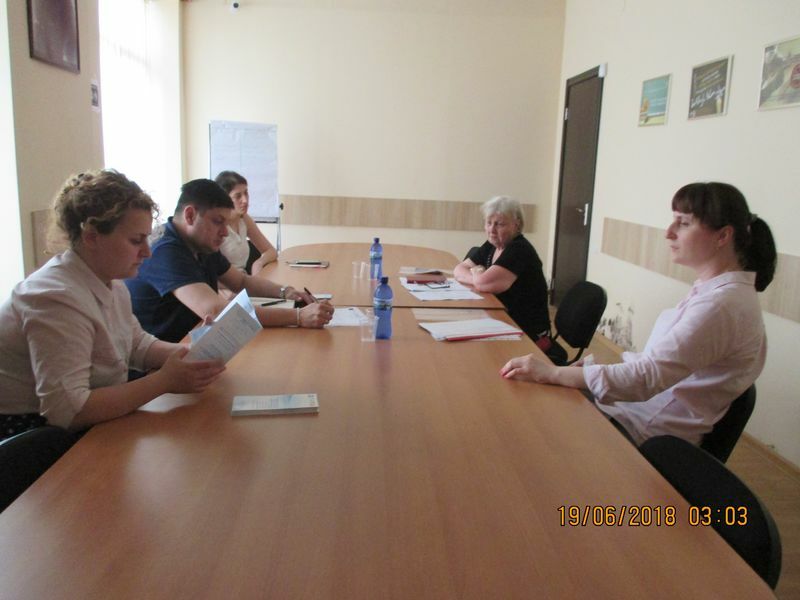 On July 3, 2018 the meeting was held among representatives of FWE, Imereti probation bureau and HWI Project manager in Caucasus region. 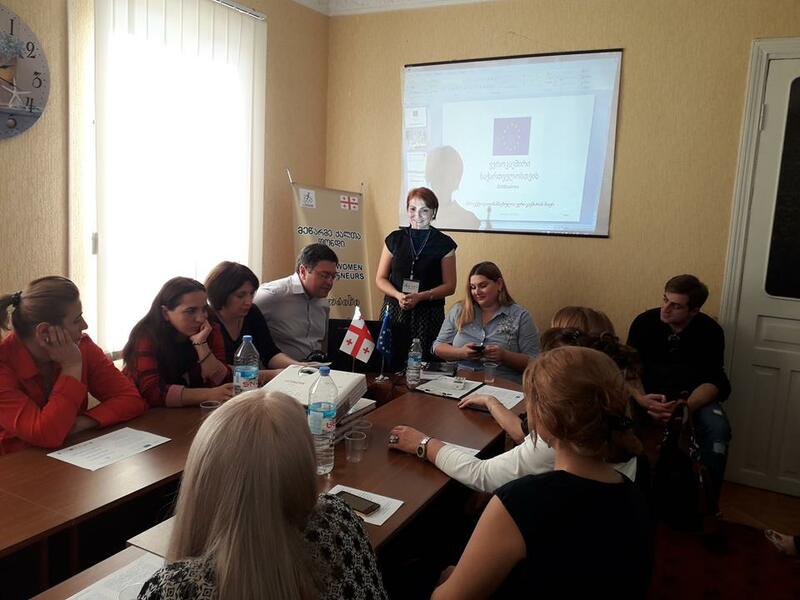 The meeting was attended by project #675 regional manager in Caucasus – Nicol Bauer, head of Imereti probation bureau – Valerian Vacharadze, chairperson of FWE- Meri Gelashvili, the project local manager – Nana Gogokhia (consent), representatives of crime prevention centre and project implementers from FWE. The meeting was attended totally by 12 persons. 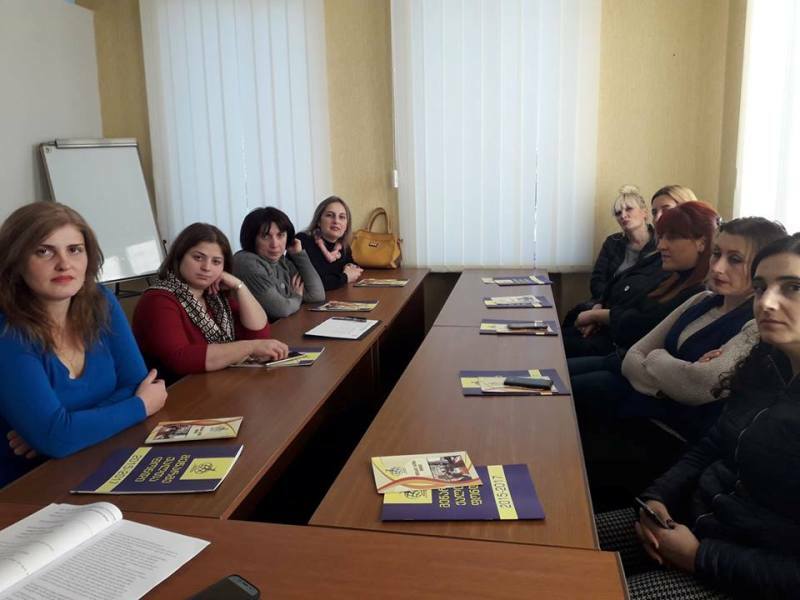 At the meeting were discussed results of the teaching and employment of I-II-III cycle beneficiaries of the project #675, the stages of material support program, and future plans. 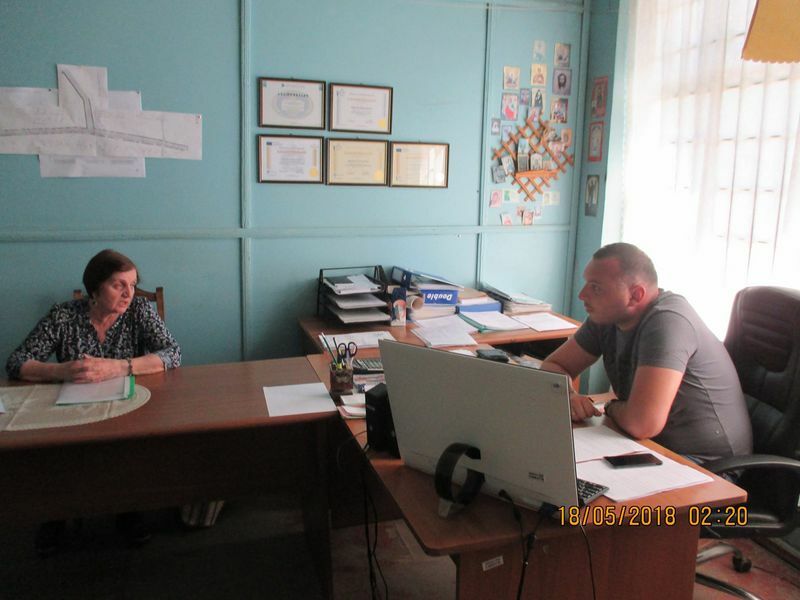 The working meeting was held between FWE and Centre of Crime prevention of Imereti region on 26 June, 2018. The meeting was attended by soc. 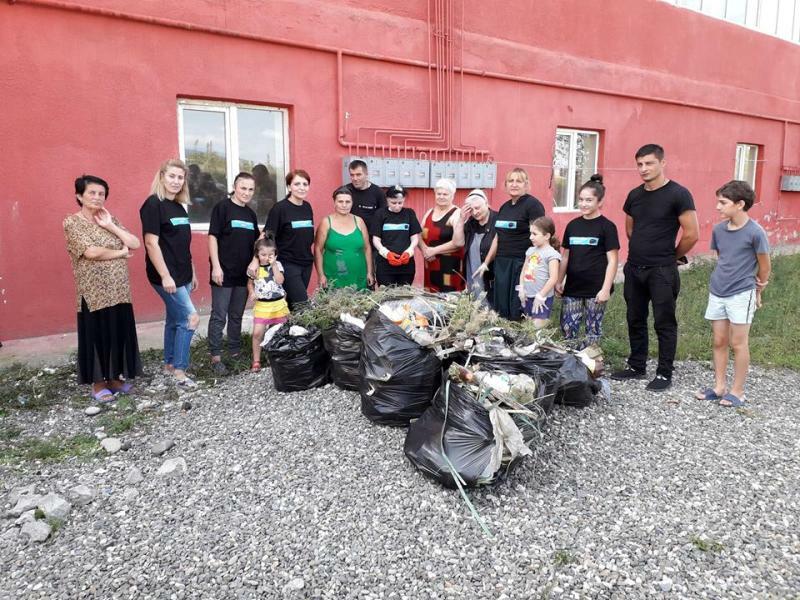 workers of centre of crime prevention – Lela Japharidze, Tamar Jojua and soc. 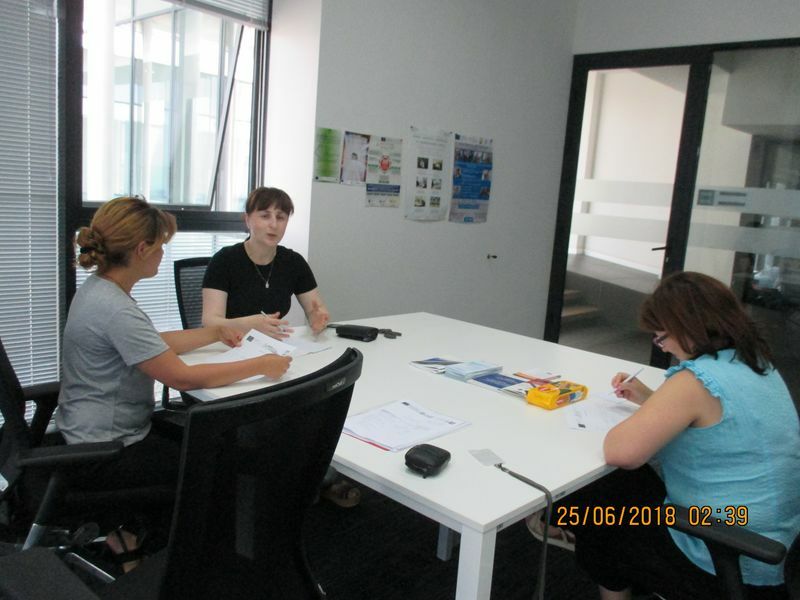 worker of the project #675 (step by step towards a better future) – Maia Kamushadze and project`s assistant- Natruli Nachkebia. 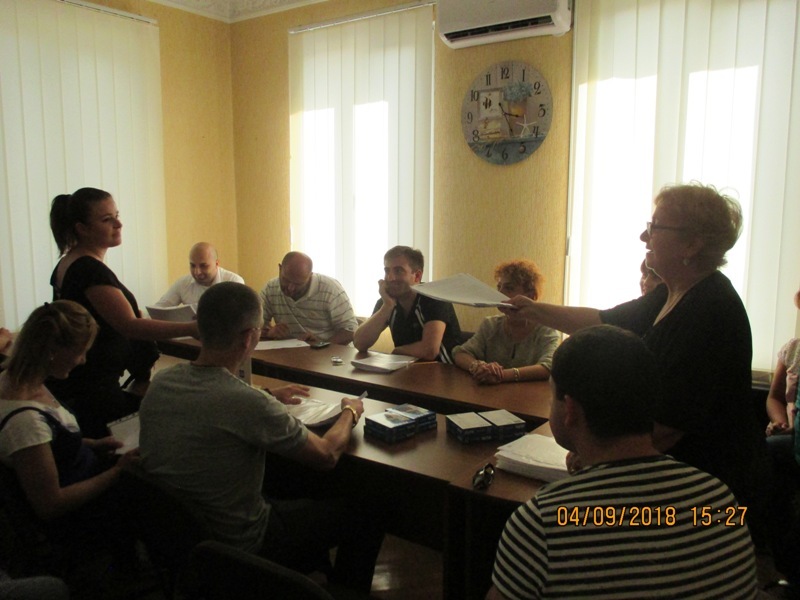 At the meeting was discussed results of the 3 month courses for the beneficiaries of the project`s (#675) third cycle and stages of the material support program. 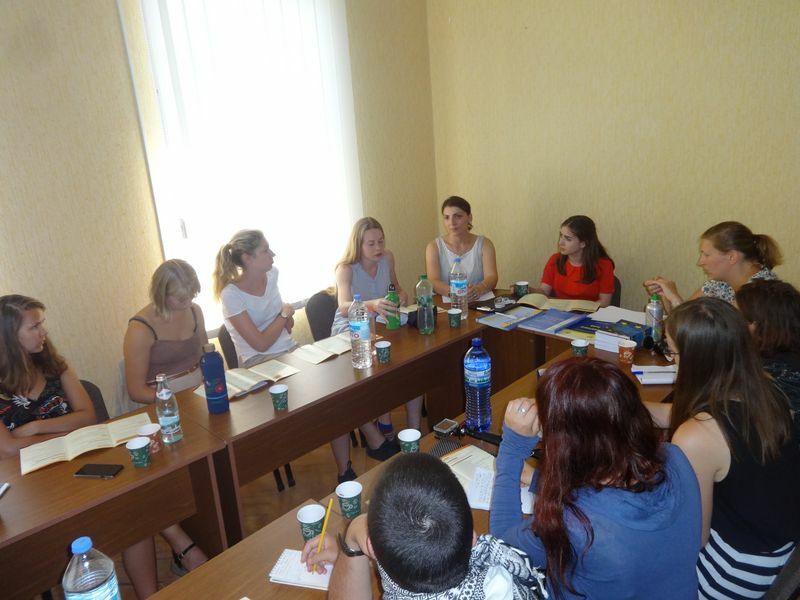 FWE hosted a group of 15 students and 3 teachers from the Department of Development and Environmental Studies (with a focus on International Development) at Palacky University in Olomouc, Czech Republic on June 28, 2018. Guests were interested in the work of the NGO sector, gender policy in the country, the legal status of IDPs, women’s rights and the socio-economic level in the country. The meeting was conducted in active Q/A mode. 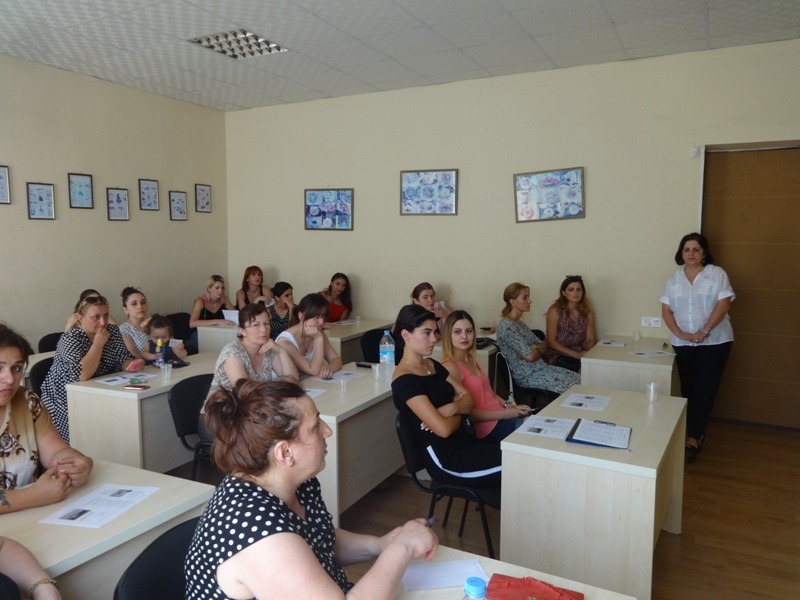 On 27.06.2017, in social college “Iberia” within the framework of the “Study-rehabilitation center” of FWE, financed by Brot, was held a workshop on professional orientation courses. 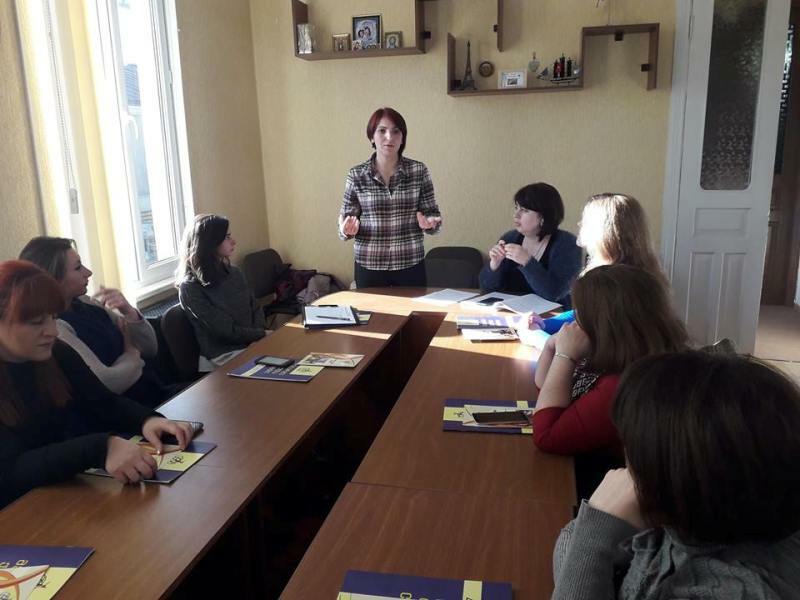 Brief information was made about the professions in the public college “Iberia”, the students were informed about the enrollment procedures, and practically examined the specialty studying rooms and talked to the teachers themselves. 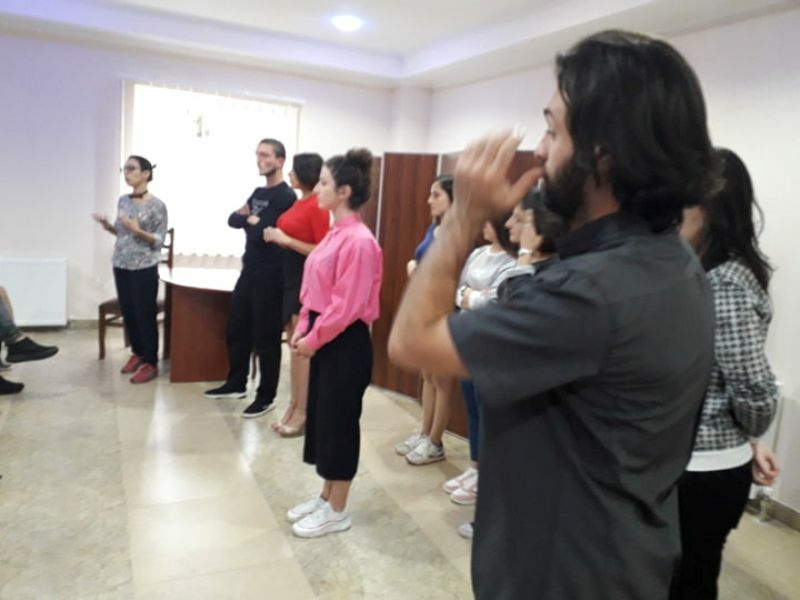 The participants of the workshop initially identified the desirable professions, but after reviewing the thematic issues, they changed their choices and made real decisions to get the secondary profession to be able to achieve social and economic independence in the future. 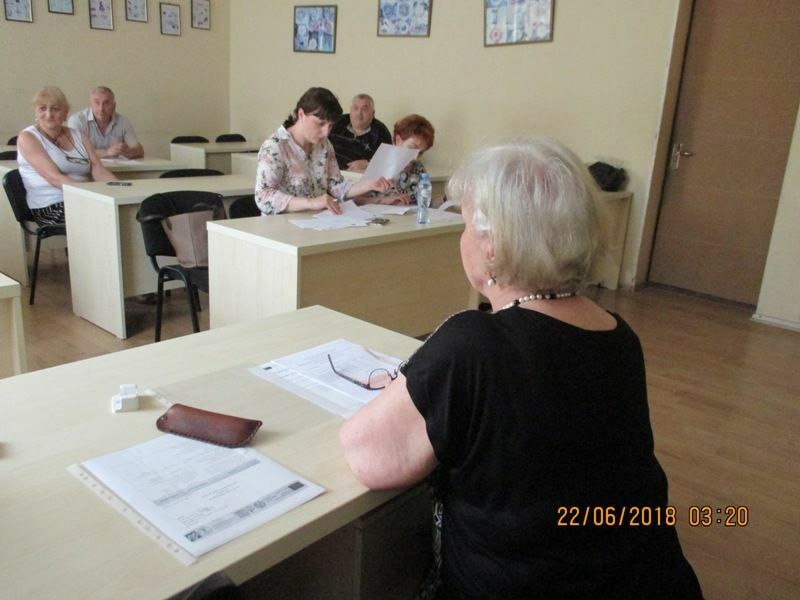 Within the framework of the project “step-by-step toward a better future” (№675) in public collage “Iberia”, On 22 June, 2018 the beneficiaries were assessed by soc. worker, psychologist, vital skills trainers, lawyer of the FWE and profession trainers of the collage “Iberia”. 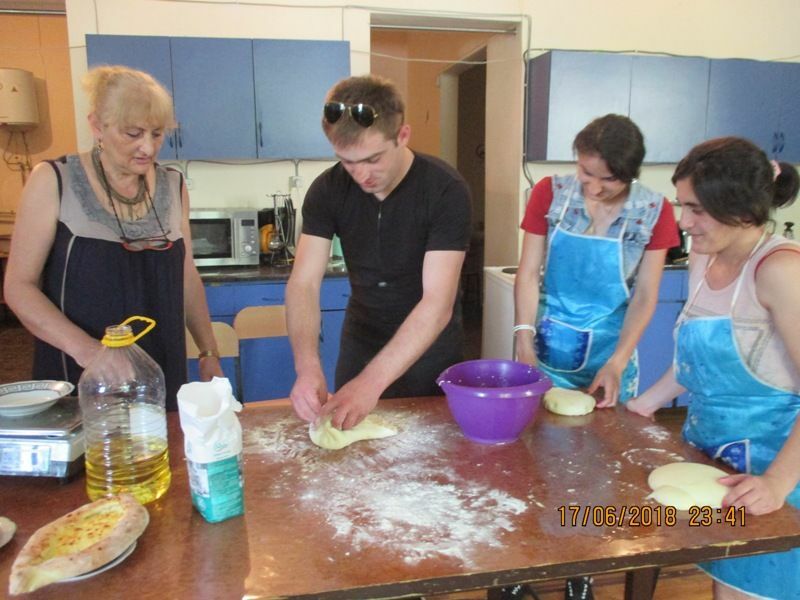 19 beneficiaries of the third cycle completed 3th month courses, they were trained in the following specialties: Electrician, cook, car electric and computer graphic. The stylists group, with 6 members, will complete their study on 5th of July. The beneficiaries of the project who have received the certificate of the College “Iberia” and the services provided by the FWE can take part in the program. We would like to ask you to participate in the information meeting, which will be held at the Integration Center of the FWE at: Kutaisi, Nikea st. #11, on 06 July 2018 at 14.00. 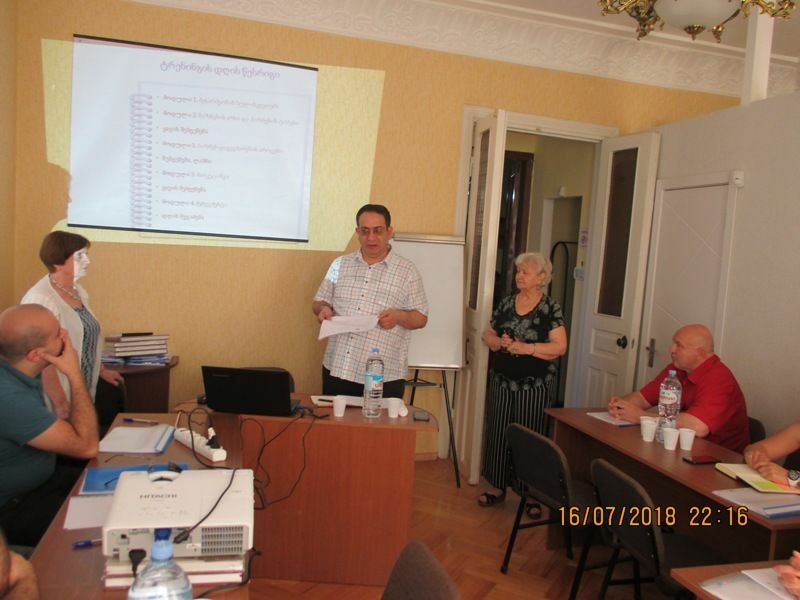 The informational meeting between project`s „step-by-step toward a better future“ implementer – FWE and Imereti probation bureau was held, within the framework of the project, on 19 June 2018. 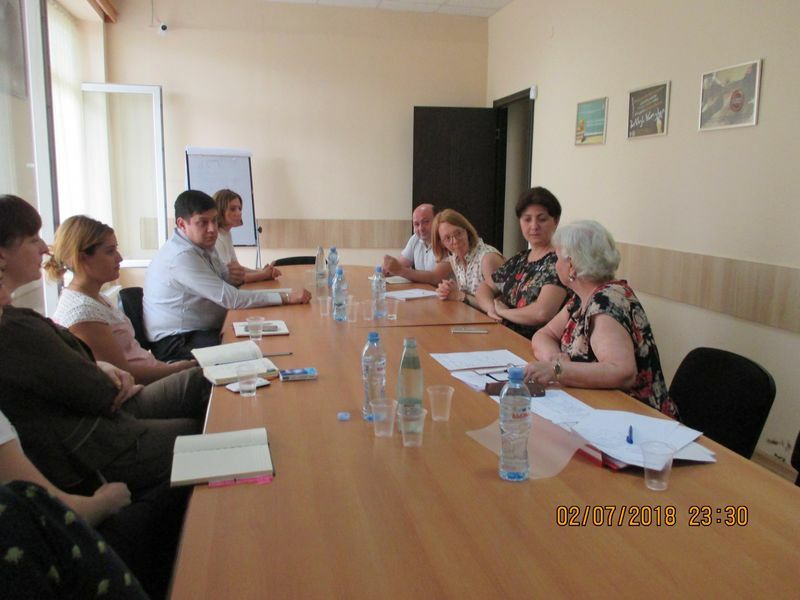 The meeting was attended by Valerian Matcharadze – probation bureau, soc. 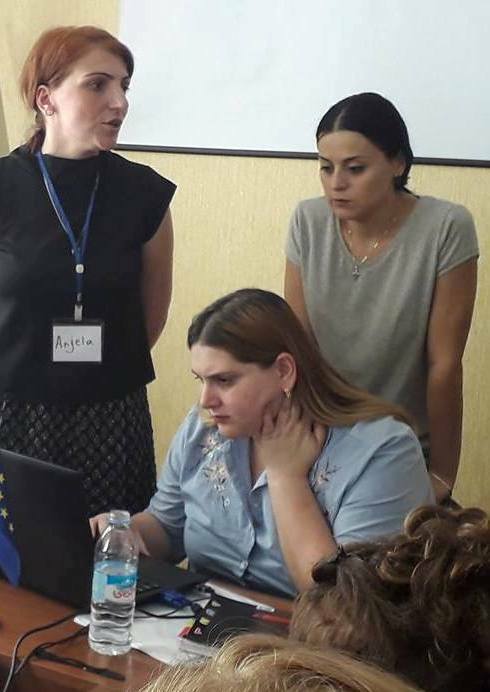 workers from bureau- Tamar Tchumburidze and Tinatin Tchelishvili, project coordinator from FWE – Meri Gelashvili, project soc. 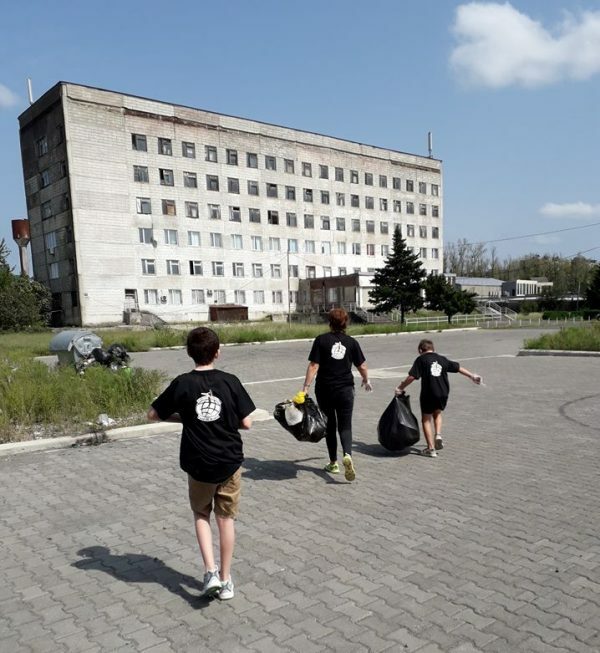 worker- Maia Kamushadze and project assistant- Natruli Natchkebia. The following issues were discussed at the meeting: results of the 3 cycle of the project and challenges of the „material support program“. 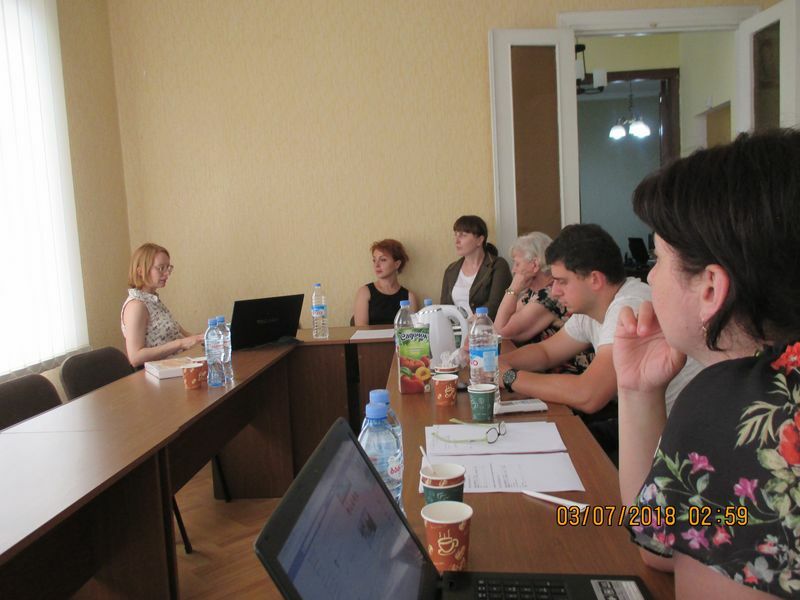 Within the framework of the project, stakeholders decided of the future cooperation. The meeting with the Austrian trade union group took place on May 27, 2018 at the FWE office. 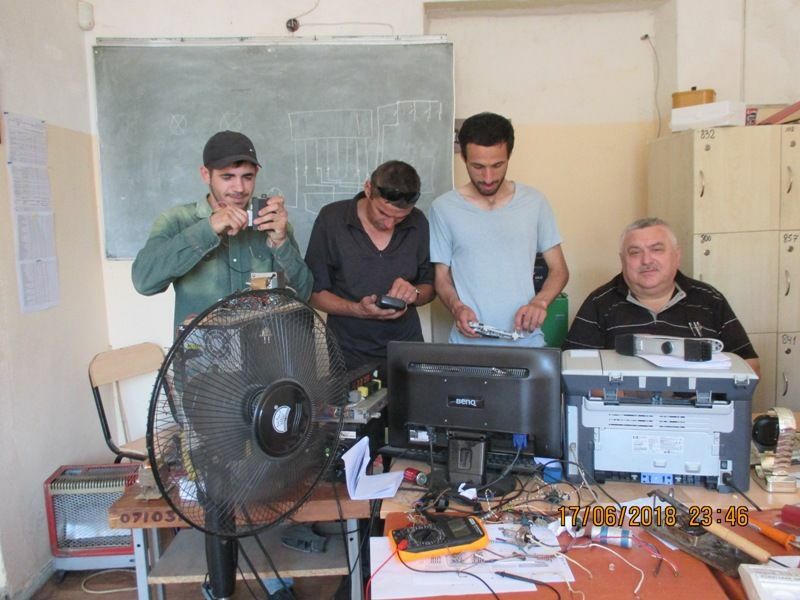 The information received about the organization by the staff aroused great interest. Participants discussed plans for the future and, possible cooperation. 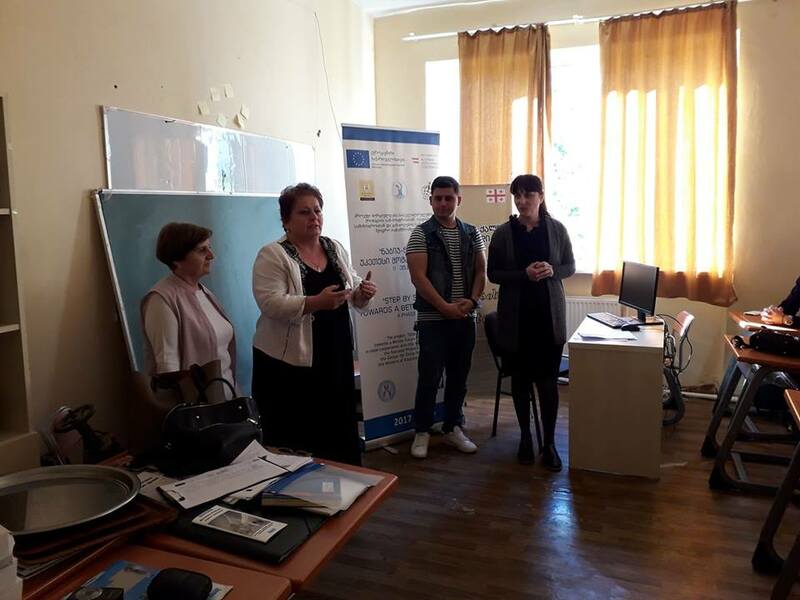 The Information meeting within the framework of the project #675 (“Step-by-Step toward a Better Future”) was held in the Vakisubani municipality of Kutaisi, on 18.05.2018. 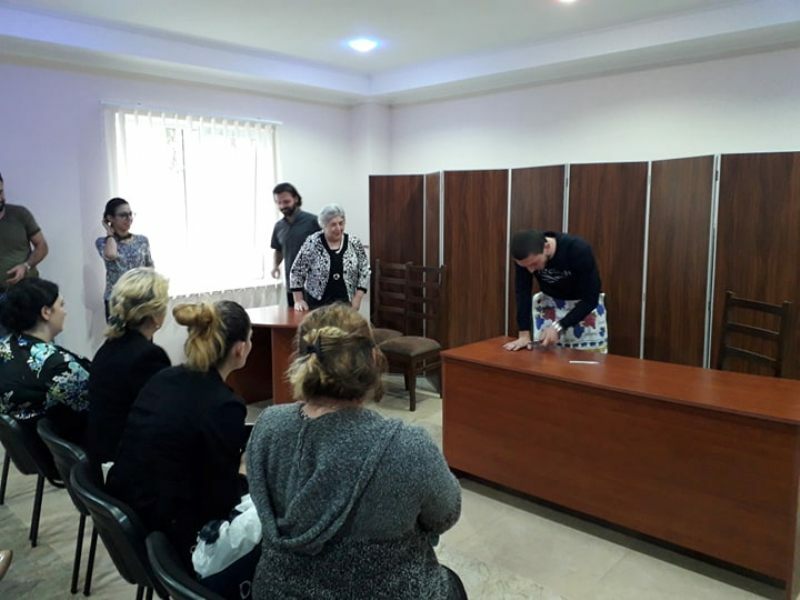 The meeting was attended by Giorgi Mamasakhlisi – representatives of the Mayor’s office in Vakisubani municipality and representatives of the Gamgeoba. 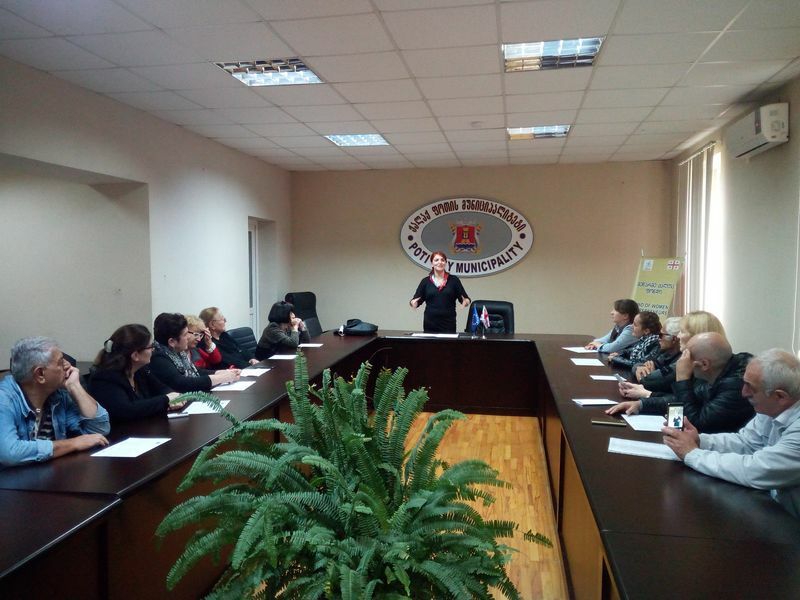 The aim of the meeting was to provide information about the project by the FWE (project assistant- Naturuli Nachkebia, FWE staff member- Angela Chikhladze) and the assistance of the representatives of the Vakisubani municipality regarding the involvement of beneficiaries in this project. 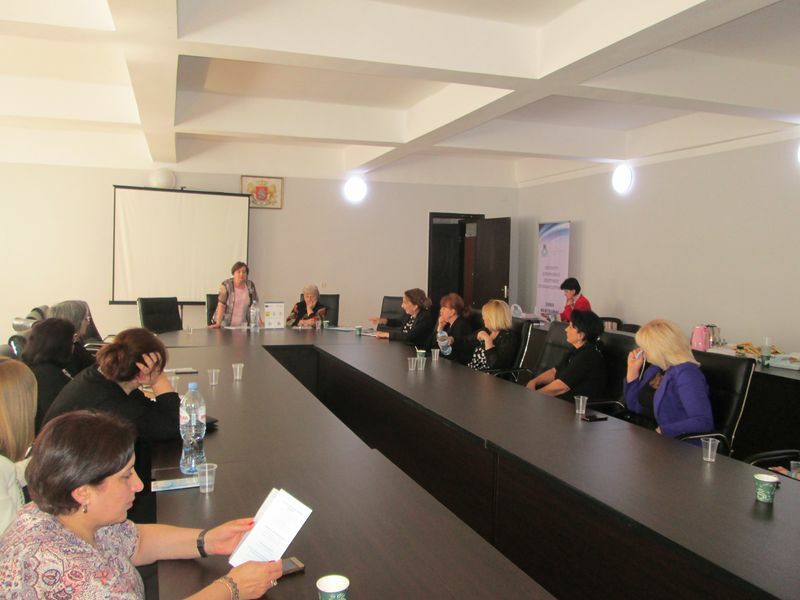 Representatives of the Vakisubani municipality expressed readiness for cooperation. 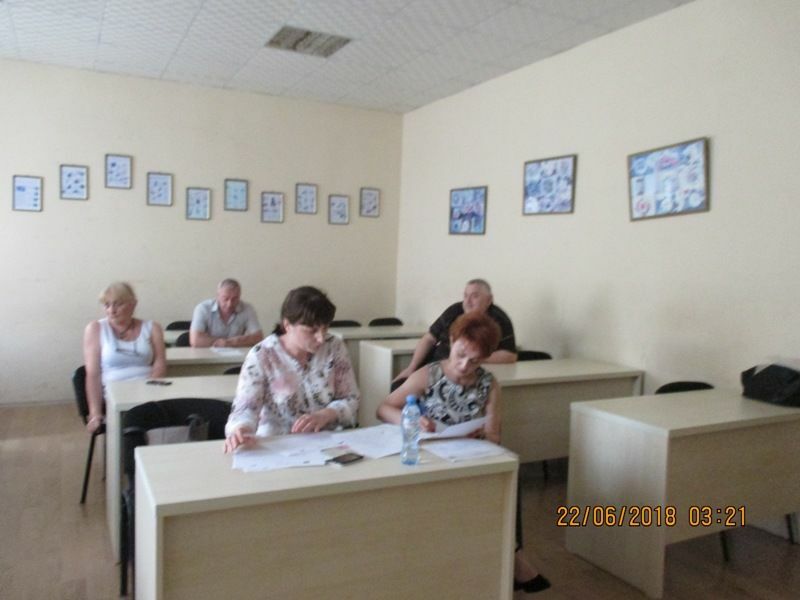 On May 16, 2018, an information meeting within the framework of the project #675 “Step-by-step toward a better future” was held in Vani self-governing municipality. 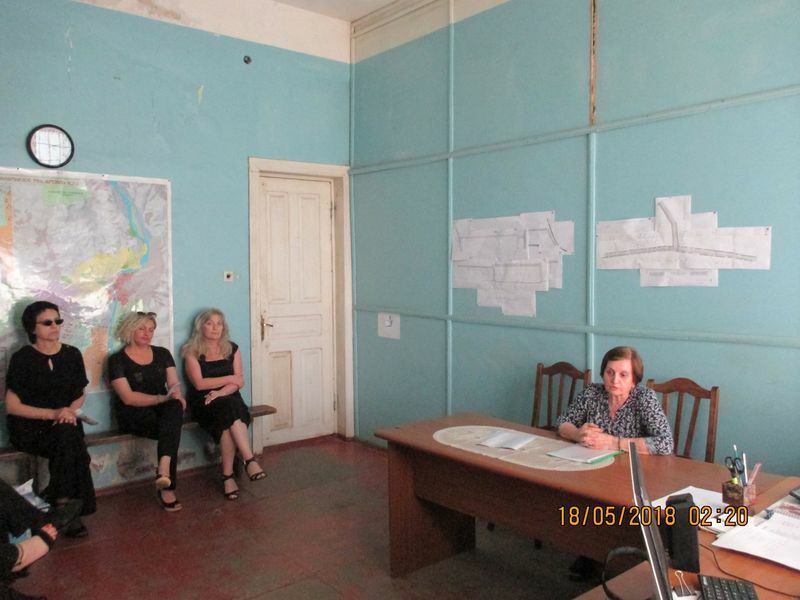 The meeting was attended by representatives of Vani municipality heads and sakrebulo (22person). 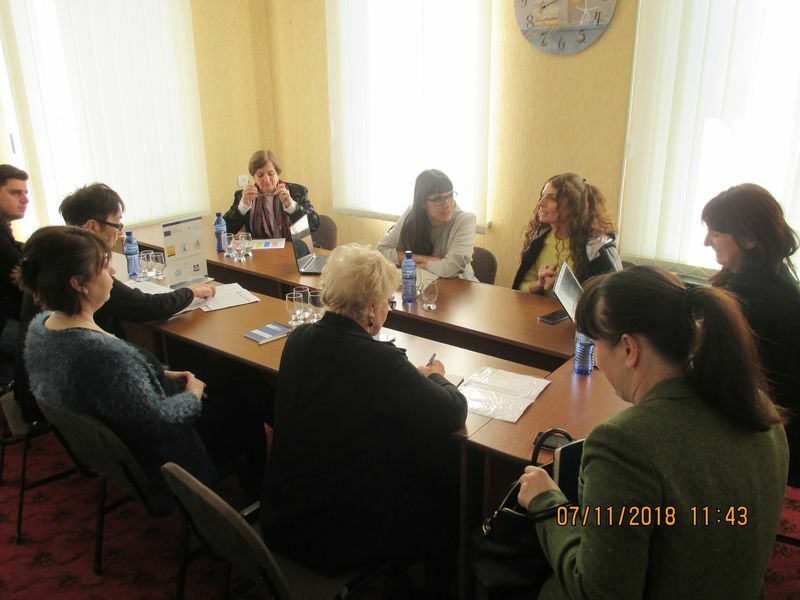 The aim of the meeting was to provide information about the project by FWE (coordinator -Meri Gelashvili, project assistant- Natruli Nachkebia). 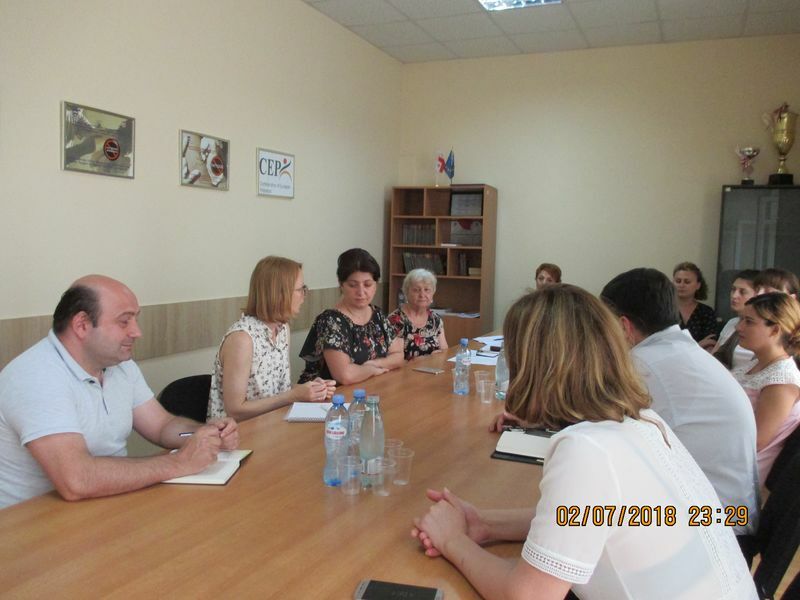 Vani municipality representatives expressed readiness to help in process of involving beneficiaries in the project and for future cooperation.